This 31-page GLP inspection template is intended to assist you in the process of auditing for GLP compliance. Audit types, including: FDA mock audit, facility, process, or study audits, can differ widely among projects; however, all marketable products must undergo multiple audits for Good Laboratory Practices (GLP) compliance at some point during the course of their life cycle. Additionally, GLP compliance may require further inspections and / or audits by an independent auditor in order to bring your organization to compliance. This GLP inspection template can help you uniformly apply mock audits in your institute while having all aspects of edits covered in this template for otimal results. This is an MS Word/pdf template of a check list for a standard GLP inspection to be used as a starting point for preparing for and/or conducting a GLP audit. 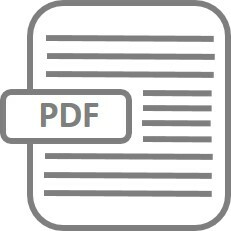 We have saved this GLP inspection template in different formats (.pdf, .docx, .dotm, .dotx, .docm, .doc, and .dot) to ensure it is compatible with all systems. The blank text place holders enclosed “_____________” indicates where a specific detail is to be inserted (replace as appropriate). Ensure that all placeholders are replaced with project-specific information. Please review this template and feel free to adapt it to your specific needs. The logo of the Institution must be used on this form. Leave the template version information in the lower left hand corner of the documents. Qualify a contract test facility for GLP compliance. Make sure your preparation of an audit for GLP compliance will be consistent with ICH guidelines. Help auditors or QA/QC specialists in order to include the required items in their audits. Verify your studies were performed in a GLP-compliant manner. Upon Check out, check your basket to ensure you have the right product(s) for your needs. Fill-out the billing information and enter a Coupon Code if you have one. Press “Proceed to PayPal” to pay for your selected product(s) in your basket. You will be directed to PayPal for payment, where you can pay with a credit card (Visa, Master Card, American Express, and Discover) or debit card (You do not need a PayPal account). After purchase, you will be redirected back to the website. The link to download the PDF version of the document will be sent to you by e-mail upon completion of registration and payment. Please provide feedback of your purchasing experience so that we may constantly improve our products and services.